Grab this printable coupon now. It should be clipped for you, and you should be able to find this on ONE (1) So Delicious Dairy Free Frozen Mousse coupon in all zip codes. Grab this printable coupon now. It should be clipped for you, and you should be able to find this on any ONE (1) Delizza Mini-Eclairs, Cream Puffs or Mousse coupon in all zip codes. Grab this printable coupon now. It should be clipped for you, and you should be able to find this on ONE (1) Butterfinger, Crunch, Baby Ruth, 100 Grand Fun Size and Mini’s coupon in all zip codes. Grab this printable coupon now. It should be clipped for you, and you should be able to find this on TWO (2) Butterfinger, Crunch, Baby Ruth, 100 Grand Singles and Share Packs coupon in all zip codes. Grab this printable coupon now. It should be clipped for you, and you should be able to find this on any TWO (2) Jimmy Dean Fresh Sausage Products coupon in all zip codes. Grab this printable coupon now. It should be clipped for you, and you should be able to find this on any Two (2) SlimFast Products coupon in all zip codes. Grab this printable coupon now. It should be clipped for you, and you should be able to find this when you buy ONE any flavor Yoplait Go-GURT Dunkers multipack coupon in all zip codes. Grab this printable coupon now. It should be clipped for you, and you should be able to find this when you buy ONE BOX Fiber One™ Strawberries & Vanilla Clusters cereal coupon in all zip codes. Grab this printable coupon now. It should be clipped for you, and you should be able to find this any ONE (1) package of Bridgford Frozen Rolls, Bread Dough, or Monkey Bread coupon in all zip codes. Grab this printable coupon now. It should be clipped for you, and you should be able to find this on any ONE (1) Eggland’s Best Liquid Egg Whites 32oz. Carton coupon in all zip codes. Grab this printable coupon now. It should be clipped for you, and you should be able to find this on any ONE (1) Eggland’s Best Liquid Egg Whites 16oz. 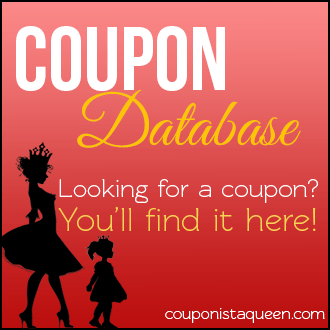 Carton coupon in all zip codes.